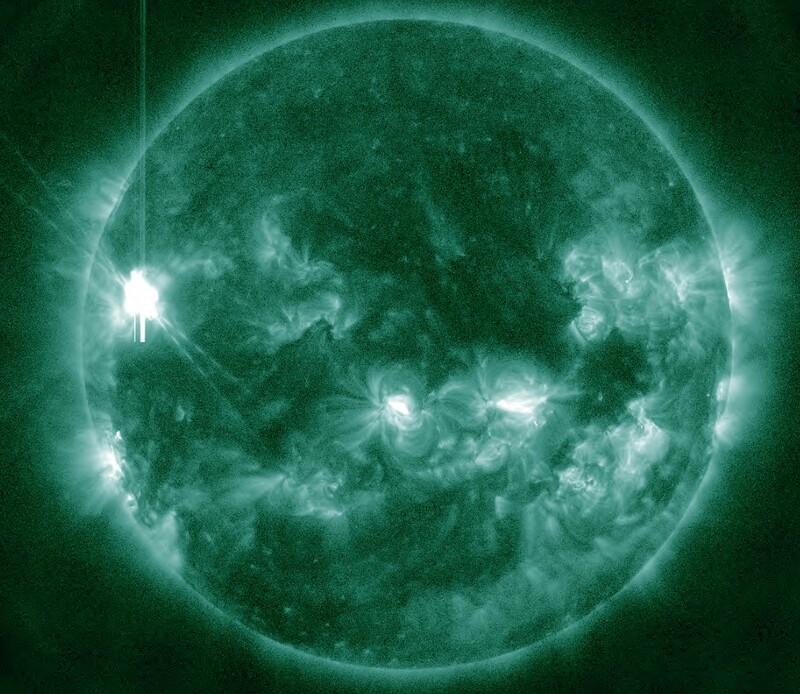 Expanding region 2113 located in the northeast quadrant produced an M6.5 solar flare at 16:20 UTC Tuesday. 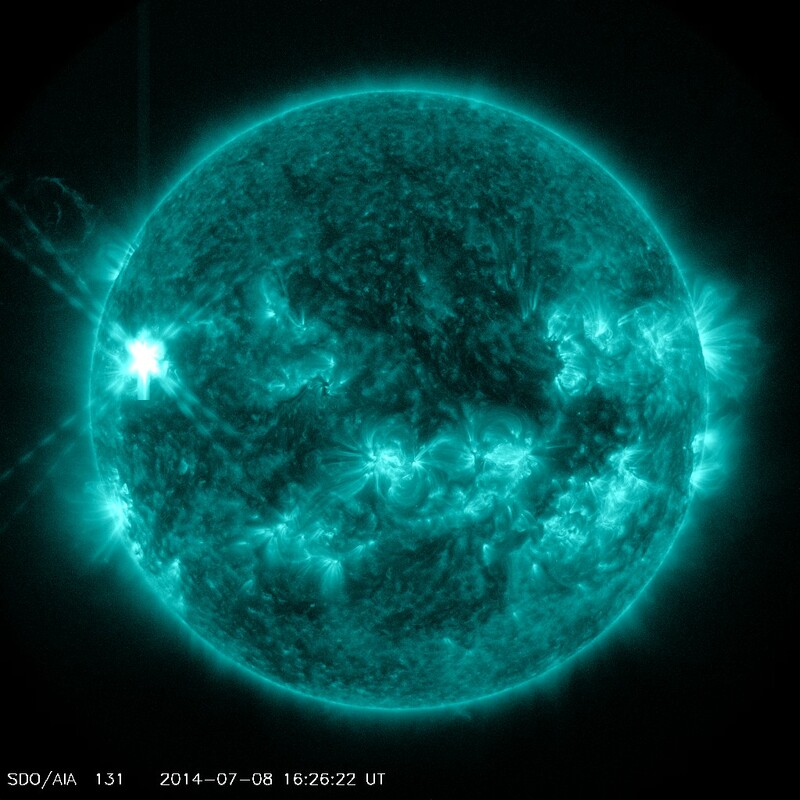 The event was associated with a Type II radio emission with an estimated velocity of 949 km/s. 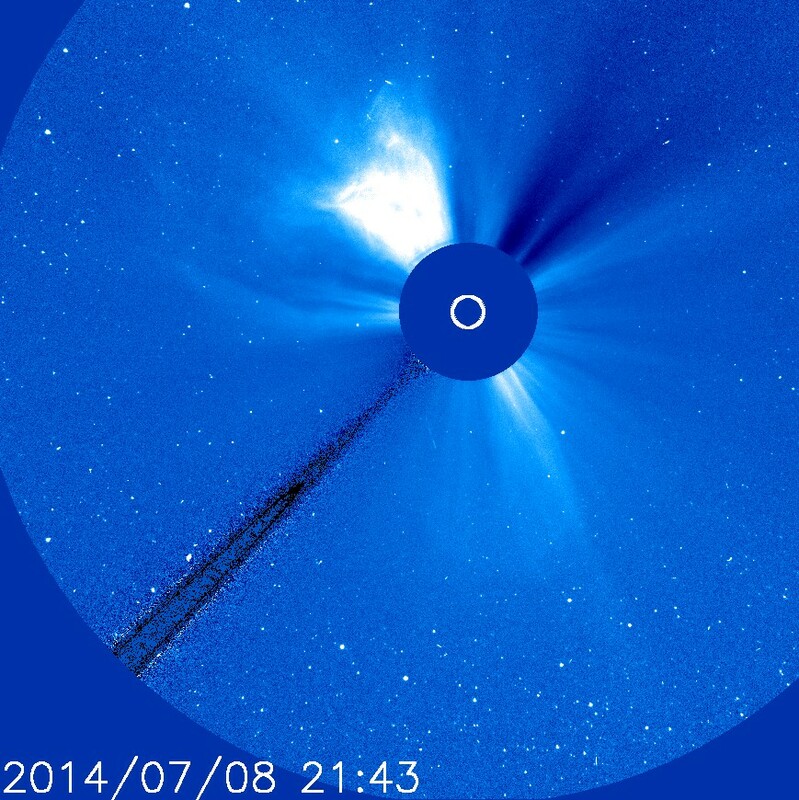 A coronal mass ejection was produced and was directed away from our planet. More information to follow. 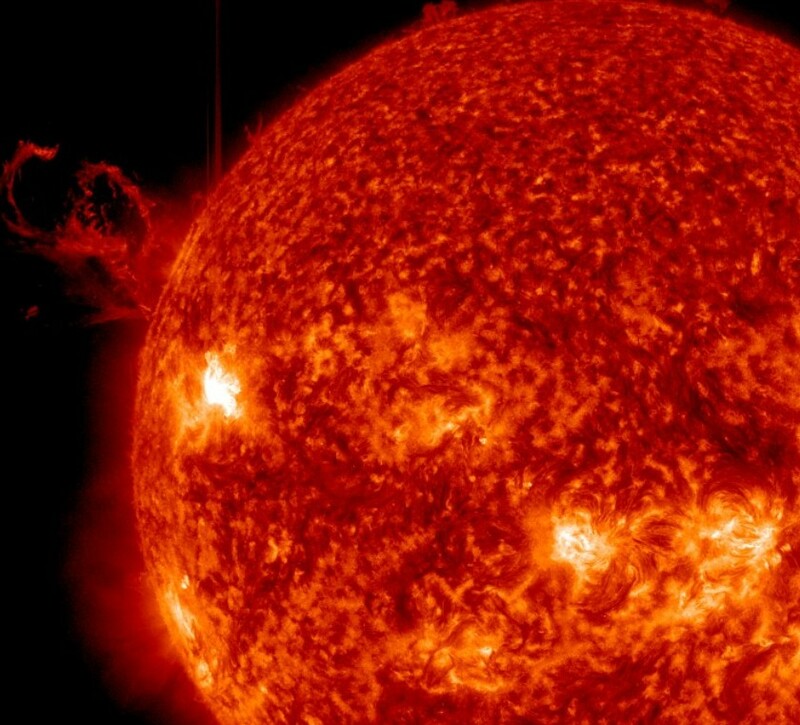 Updated coronagraph imagery by LASCO C3 confirms that the resulting coronal mass ejection (CME) was directed to the northeast and away from Earth. 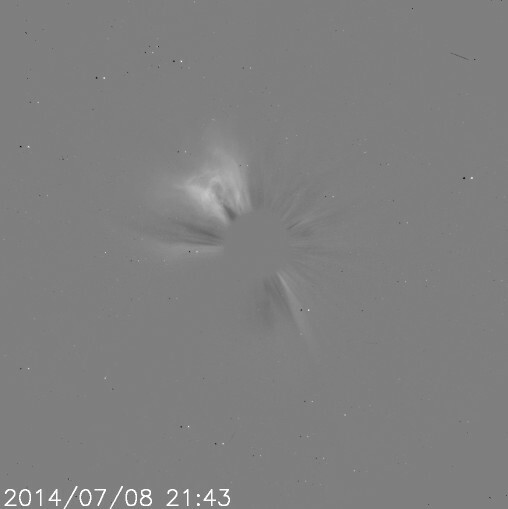 A coronal mass ejection (CME) is now becoming visible in the latest STEREO Behind COR2 imagery. 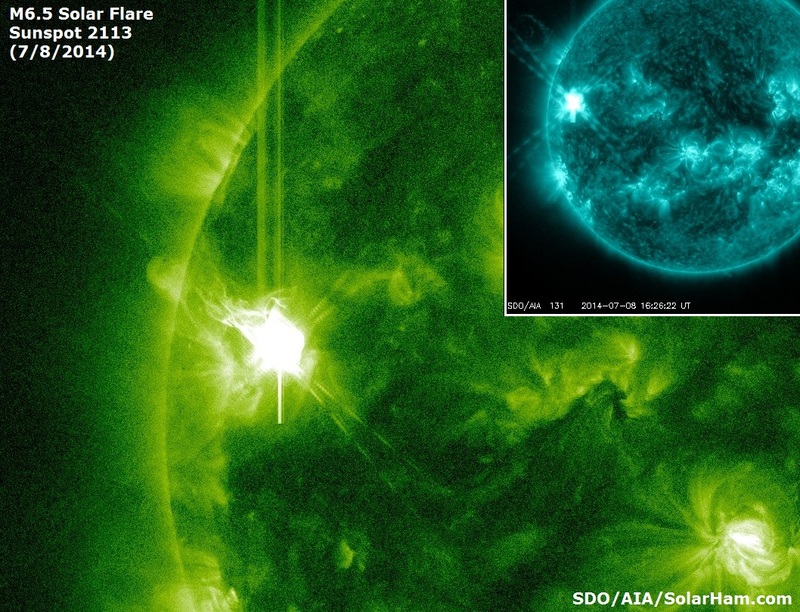 Updated imagery courtesy of SDO suggests a quantity of plasma was flung into space following the flare event. So far appears to be directed mostly away from our planet. 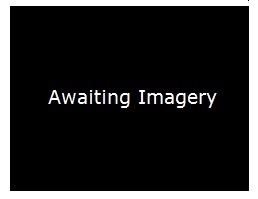 More updates once coronagraph imagery is available. 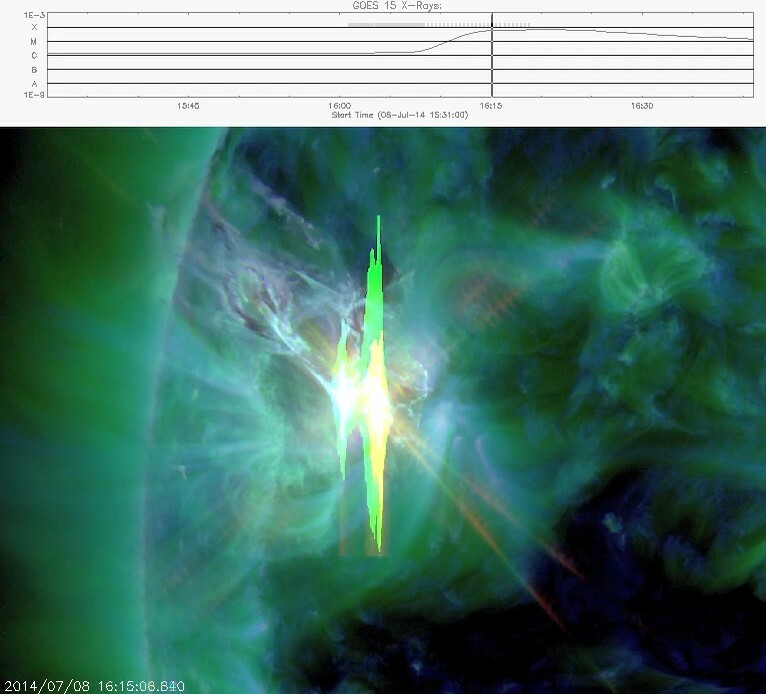 Expanding region 2113 located in the northeast quadrant just produced an M6.5 solar flare at 16:20 UTC Tuesday. 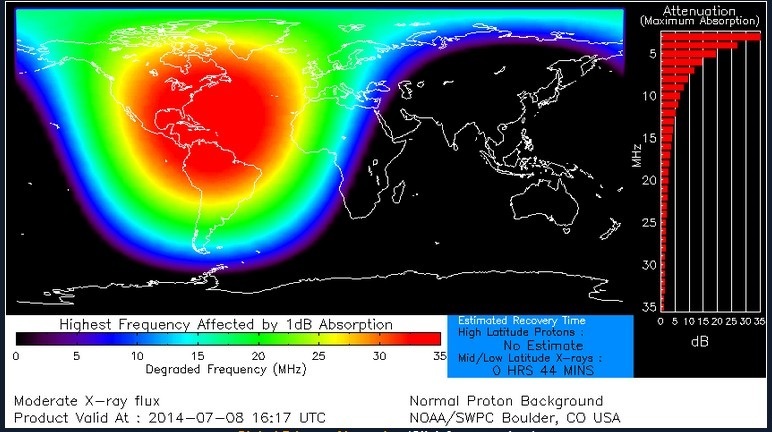 The event was associated with a Type IV radio emission. 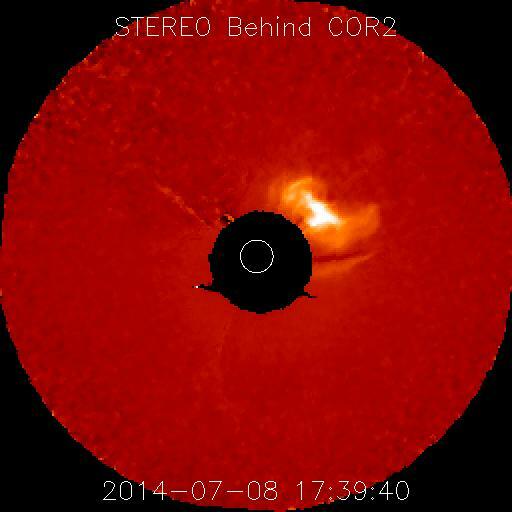 More information to follow regarding a possible coronal mass ejection. 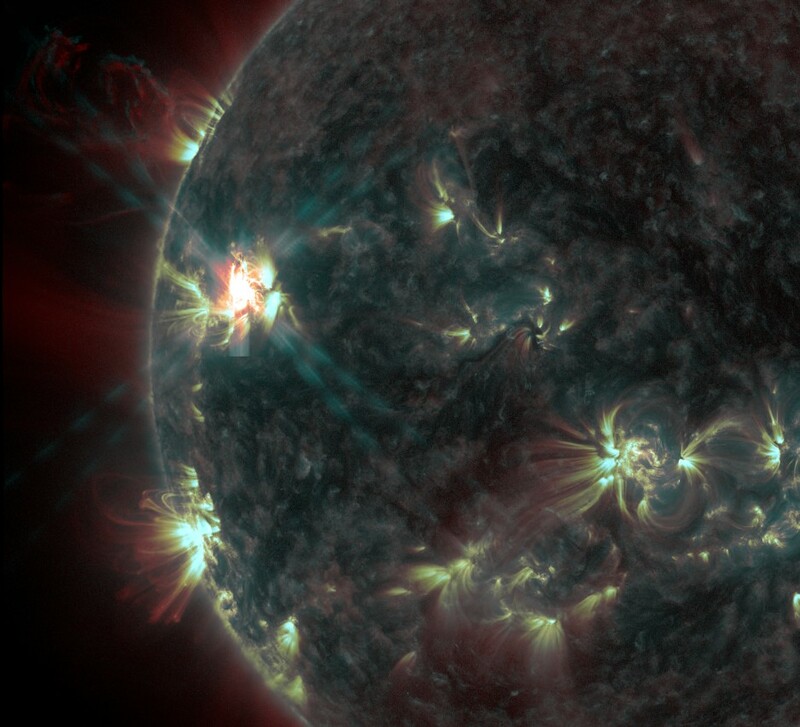 Imagery below by SDO.